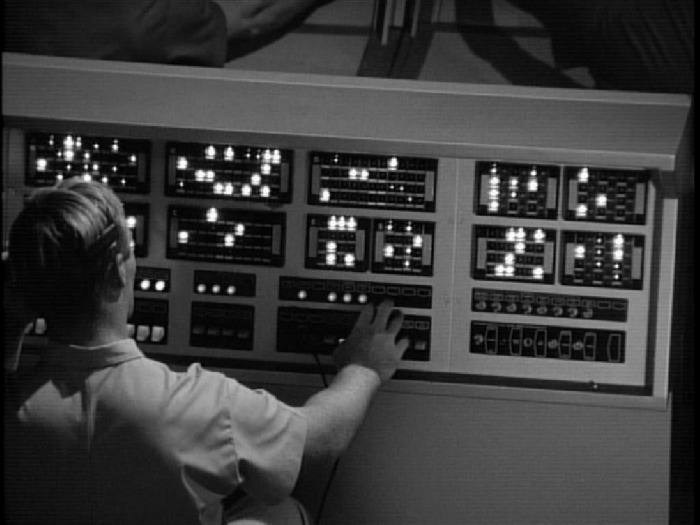 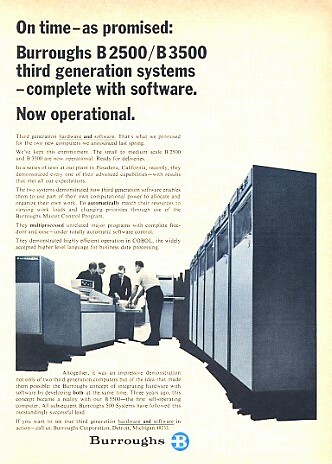 Specialty: Was the leading manufacturer of Mainframe business computers in the 1960's, competing with IBM. 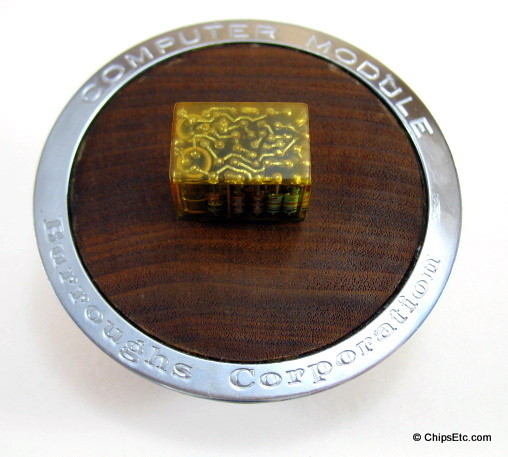 This is a Burroughs B5500 Computer Transistor Module. 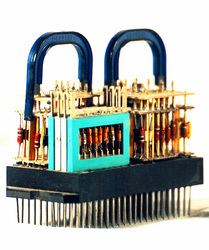 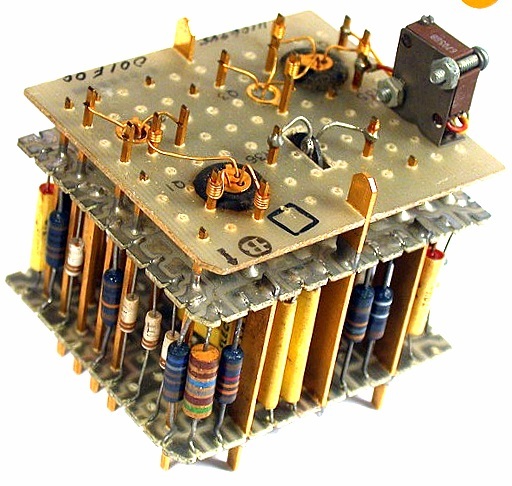 This 2nd Generation Transistor technology would soon be replaced by the 3rd Generation technology of Integrated Circuits. 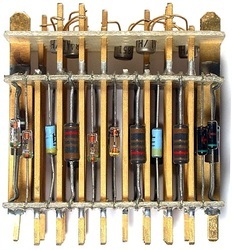 This module is made up of four canned Transistors, Resistors, and other electronic components mounted to a PCB base with pins and encased in plastic. 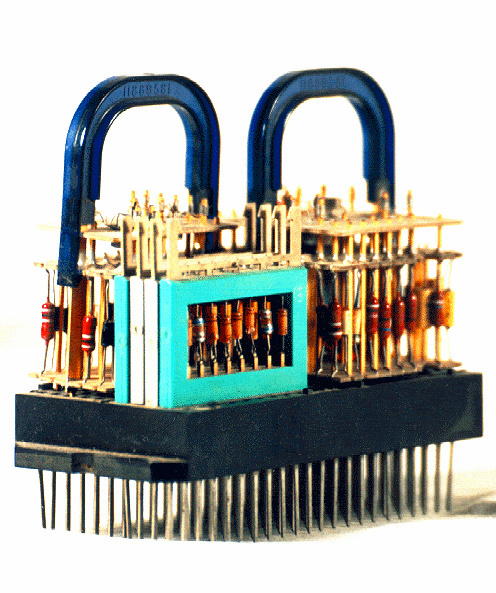 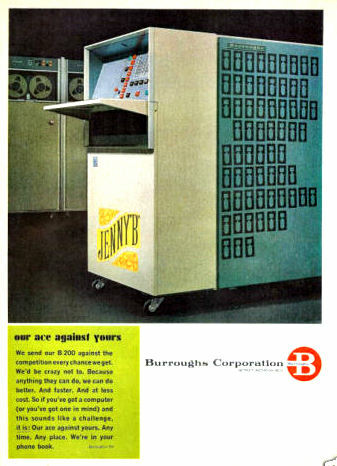 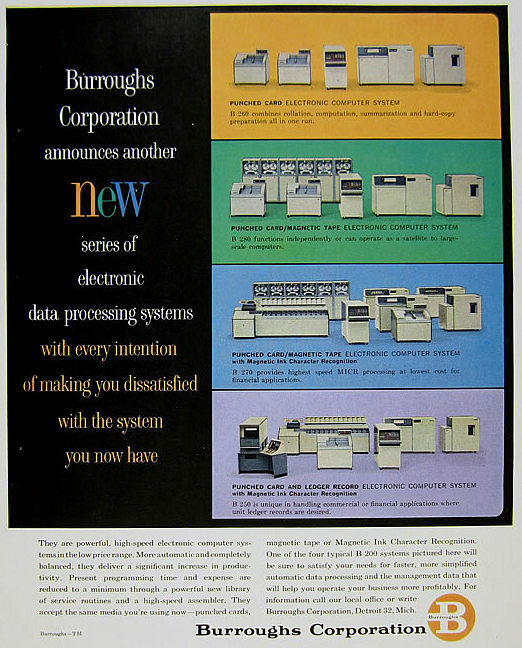 The transistorized module is mounted on a walnut base with chrome trim that reads "Computer Module - Burroughs Corporation". 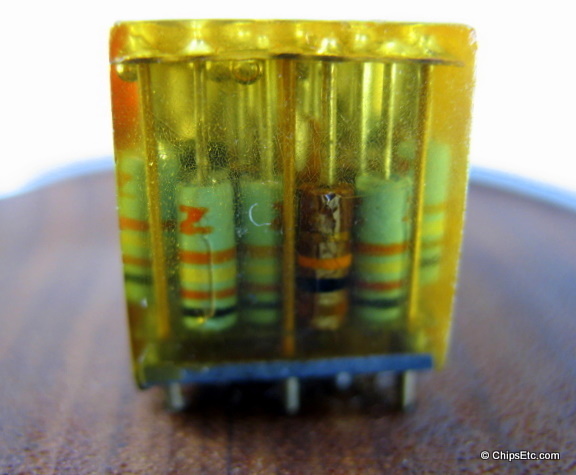 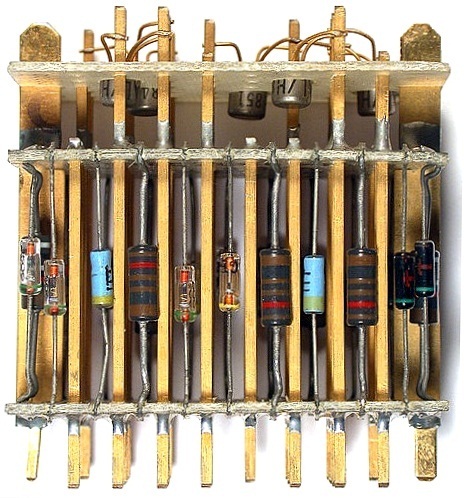 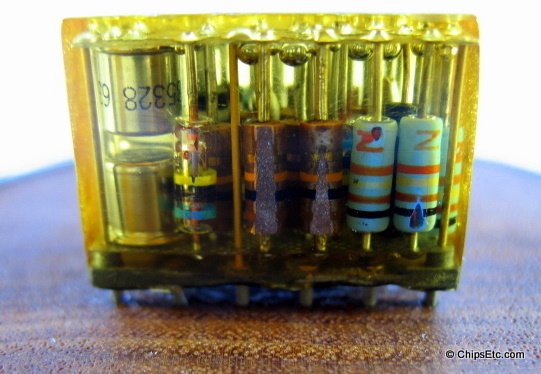 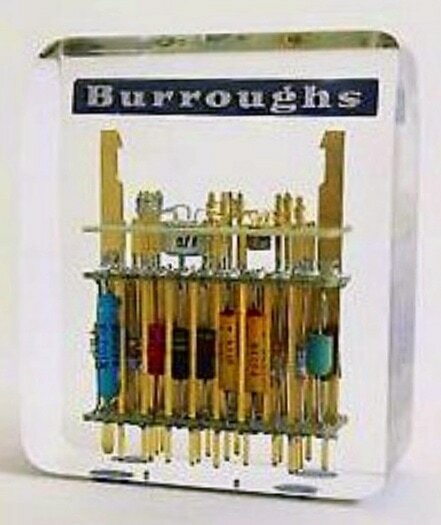 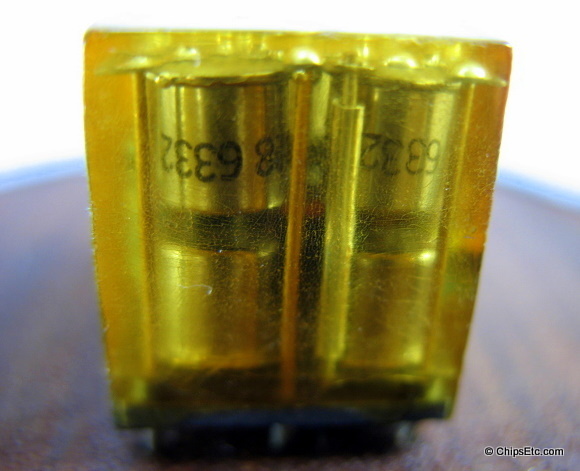 An example of a Burroughs Micro-module encased in Lucite. 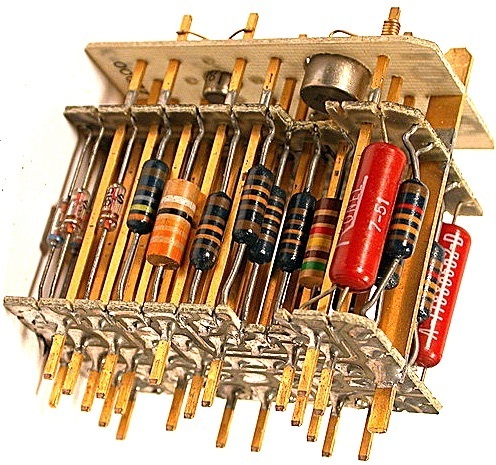 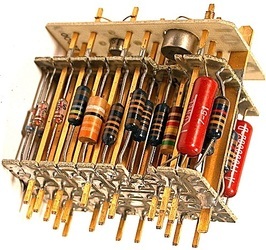 Burroughs competed with RCA, Photo-Circuits, IBM, ARMA, Hazeletine, Bendix and General Electric in the early 1960's for Micro-Module Circuit development to build the 1st generation of U.S. Army signal corp's new modular electronic communication equipment. 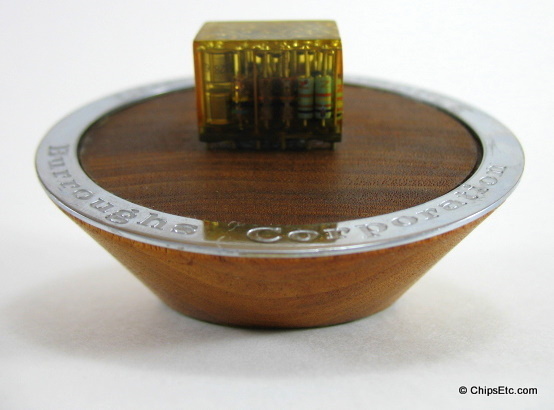 ​Item measures 3.5" tall x 3" wide x 1.25" deep.